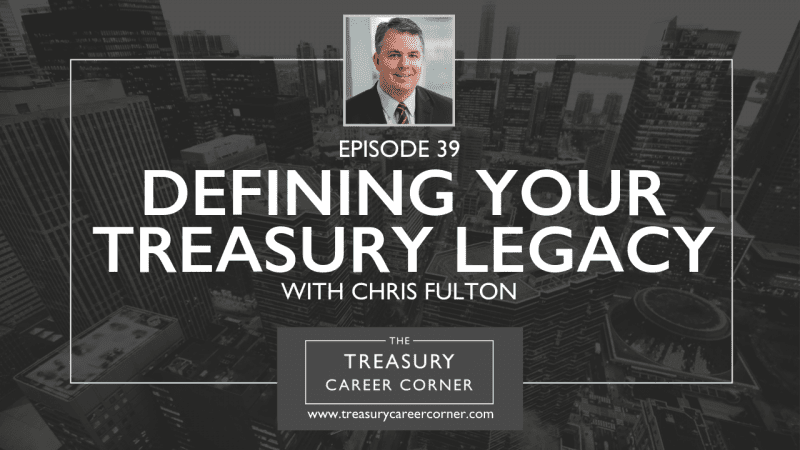 On this episode of the Treasury Career Corner podcast, I’m joined by Chris Fulton, the Chief Financial Officer at Selendy & Gay PLLC. We talk about his treasury career, what it means to be a good mentor and the importance of leaving a legacy of positive change at your place of work. Chris Fulton is currently Chief Financial Officer of Selendy & Gay, PLLC in New York, NY. Prior to joining Selendy & Gay in 2018, Chris held various senior finance and treasury roles with Skadden, Arps, Slate, Meagher & Flom LLP, Take-Two Interactive, and Ernst & Young. His career spans over 20 years working alongside some of the world’s largest and most innovative public companies and private corporations as a consultant, and internal business and transaction advisor. He has also been a presenter, as well as an exhibitor, at the AFP Annual conferences and is active in roundtable discussions at the Corporate Treasurers Council. Chris is on the Board of Directors of the Association For Financial Professionals, where he serves on the Finance Committee. Additionally, Chris serves on the Finance Sub-Committee of the Board of Education of the Katonah-Lewisboro School District. You can get in touch with Chris by reaching out to him through his LinkedIn profile. Whether you’ve recently graduated, or you want to search for new job opportunities to help develop your treasury career, The Treasury Recruitment Company can help you in your search for the perfect job. Find out more at treasuryrecruitment.com/jobs. Or, send us your CV and let us help you in your next career move!